Making the decision to purchase a new computer or laptop is not an easy one. What model do I want? How fast should it run? Do I opt for upgrades or stay with the basics? Probably the biggest decision though, is how MUCH do I want to spend? Whether your purchase is driven by personal or business use, this question still applies. What does all this have to do with CompleteCare Accidental Damage Service? A LOT! You don’t want to go through the process of buying a computer/laptop more then you need to. That is why we ALWAYS recommend adding on this feature provided by Dell. 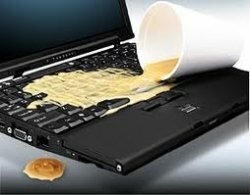 This isn’t the typical warranty coverage–if you drop it, too bad –if you spill your coffee all over your laptop, too bad. With CompleteCare, coverage is much broader and allows you to save money in the long run if something does happen. Keyword is ACCIDENTAL–if any of the above occurs intentionally, it will not be covered. But who would really throw their computer, right? (Unless you’re really frustrated with your IT support–of course it wouldn’t be Smart). Make the Smart decision and protect your investment.